Why is Water Treatment important to my family and my home? Water is in every part of our lives, we cook with it, we drink it, we shower, and we wash with it. It’s unavoidable. Do you know the quality of the water you are using to perform all those tasks? You should! No matter if you are on city water, or well water the quality could be a concern for different reasons. Treating your water can have many benefits from being healthier for you and your family to extend the life of your appliances and your fixtures, to saving money all depending on your water quality. Let us test your water, educate you on what’s in your water and recommend your best options. 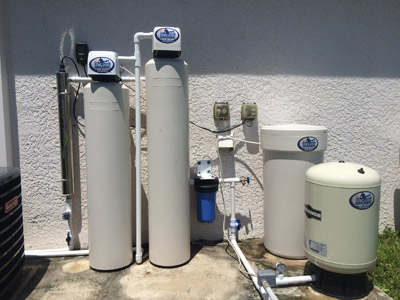 West Coast Plumbing & Water Treatment offers an extensive line of our own Envy Series water treatment equipment that we will tailor to your specific needs, taking your concerns into consideration to provide you the best water quality possible. We also repair and service all brands, makes, and models of water treatment equipment.